Award-winning musicial Pete Lockett is one of the most versatile and prolific percussionists in the world. Pete’s resume includes collaborations with some of the world’s top artists, including Peter Gabriel, Björk, The Verve, Jeff Beck and many more. 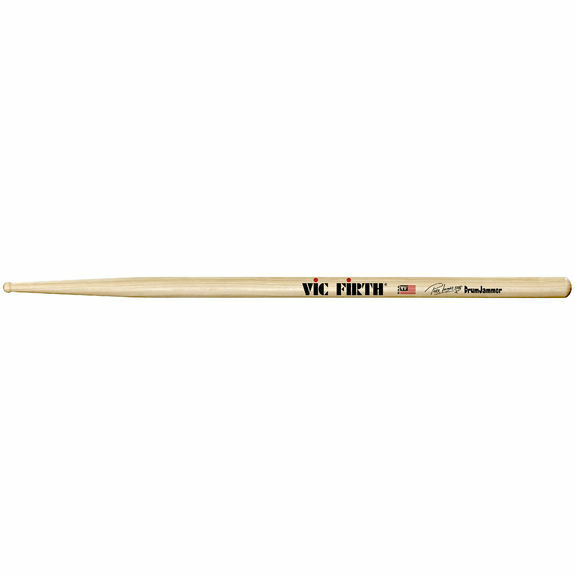 The Pete Lockett “DrumJammer” Signature Stick is crafted in hickory and features a very small round bead that creates an extremely defined sound. They are designed as a double-ended stick for multi-purpose use and works great for drum set, electronic kits, metallic percussion, timbales, frame drums much more.